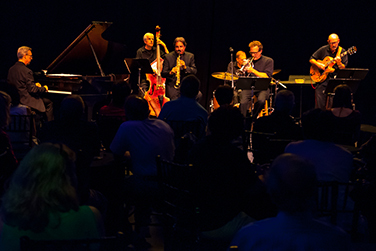 Step into The Clarice’s Kogod Cabaret and enjoy tasty beverages to the tune of the UMD School of Music’s jazz professors. Featuring popular songs by greats such as Duke Ellington and Dizzy Gillespie, this concert is a seriously fun study in jazz. UMD alumna Lena Seilakly returns to contribute swinging vocals. This event is part of NextNOW Fest 2015. View the full schedule of events!